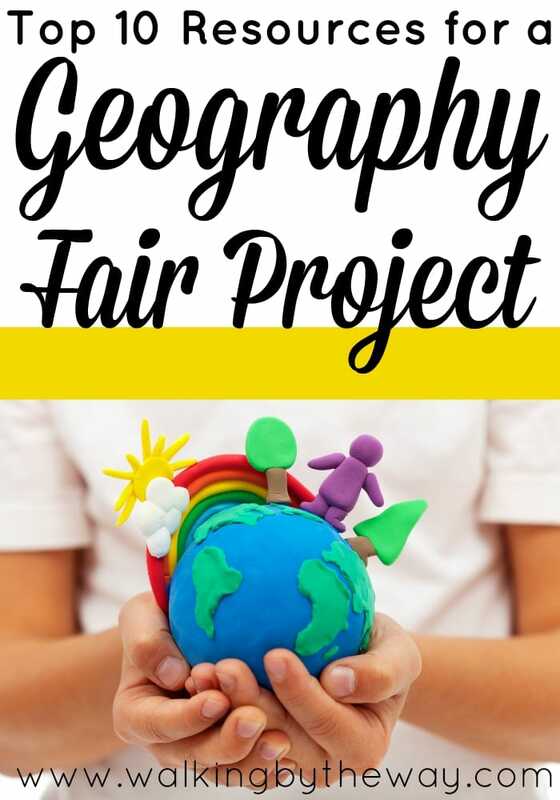 Mexico, Canada, England, Finding Dinosaur Bones, Popular Pets Around the World, Animals of Madagascar–we've definitely done our share of geography fair projects around here, and there are certain resources we've found helpful each time. Here are our top 10 picks! 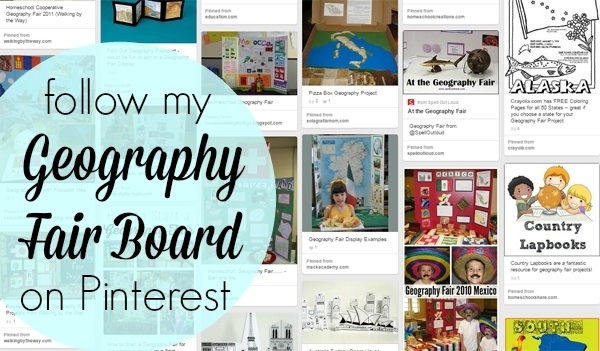 Notebooking Pages has a ginormous selection of pages that can be used for a geography fair. Check out their Geography pages which include country pages, state pages, map pages, and more! If they don't have exactly what you want, your student can us the Notebook Publisher and design his own! My son, Elijah, did this for his last geography fair project. Homeschool Share has FREE lapbooks for the following countries: Australia, Brazil, Canada, China, Colombia, Costa Rica, Ecuador, England, France, Ghana, Guatemala, Italy, Ireland, India, Japan, Mexico, Morocco, Philippines, Russia, Spain, Switzerland, and Vietnam. If the country your student is researching is not on the list, try Homeschool Share's Any Country Lapbook. Graphs are great ways to display information. You can show information such as how many people in a country speak a certain language or affiliate with a certain religion. You can also compare industries within a countries. If your student would like to create a graph, try this FREE site. Time for Kids has amazing information for various countries around the globe. Almost 60 countries are represented and your student will find interesting information including: A Day in the Life, Sightseeing Guide, and a Timeline. Country Report Projects for Any Country provides your student with 26 project ideas! Create a national treasure box, an artistic reproduction, economy pictograph, or a landmarks accordion case. You will find some fresh ideas in this book. Children Just Like Me is a great starting point if you are studying one of the countries presented in the book. Countries represented include: Bolivia, Argentina, Brazil, Mexico, United States, Canada, Finland, Hungary, Poland, Russia, France, Greece, Egypt, Botswana, Ghana, Morocco, Tanzania, Ethiopia, China, Mongolia, Japan, South Korea, India, Israel, Jordan, Vietnam, Thailand, Philippines, Indonesia, New Zealand, and Australia. Easy File Folder Reports by Evan Moor includes some great ideas and printable pages which give your student the basis to make a file folder report for her geography fair display. This 241 page book would be especially helpful for students who have chosen to do a project on a specific state in the United States. The book includes ideas for explorers, Native Americans, incredible people, state symbols, landmarks, monuments, national parks, animals, and so much more! Most students love to include animals in their country presentations. My boys have both done projects that focus solely on animals–Elijah chose Animals of Madagascar last year, and Simon chose Popular Pets Around the World. The San Diego Zoo website is fantastic; it houses an enormous amount of information for animals all over the world! I know this is a no-brainer, but I have to include the public library, my favorite FREE resource. Grab your kids and your library card and use this opportunity to teach your kids how to use the nonfiction area of the library. Perfect! We've barely started our geography fair reports and these are going to come in so handy! Thank you. I'm pinning this so I can refer back to it each year too.